As I dump a lot of used coffee ground ,I considered of reusing it one day , then did a lot of research understood coffee not only stimulates your blood circulation when taken freshly brewed ,but also a boon to maintain plump and fresh looking beautiful skin when used as a scrub or as a mask at no cost . Use these simple and easy tricks to make your body look fab from hair to toe . There might be many products for this challenging skin condition, may be every woman faces this challenge at some point of time in her life. Yes, this is a awkward condition and very unpleasant especially in your early 30's. This is due to accumulation of fat in certain areas under your skin , this can treated by many home remedies , creams, and coffee ground is one of them . Take freshly brewed coffee ground , mix it with some granulated sugar, olive oil or coconut oil make it into a scrub, massage in to skin for several minutes using firm pressure and wash as usual. Use 2-3 times a week. Results should be visible within a couple of weeks. 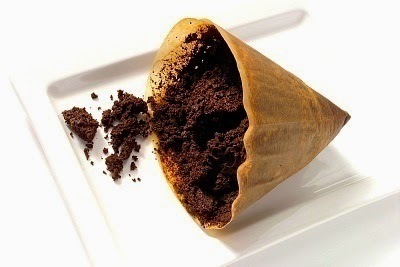 Try this coffee-grind cocktail: Mix 1/4 cup ground coffee with 3 tablespoons hot water and let the mixture sit for 10 minutes to absorb the water and form a paste. Then, mix in 2 tablespoons of olive oil to help bind the grinds. (This will make it easier to spread on, and offer extra moisturizing effects.) Cleanse problem areas in a warm shower, then turn off the water and apply the scrub by massaging in a circular motion for 2-4 minutes with your hands or a washcloth. Rinse with warm water to remove all grounds, then pat dry and moisturize if desired. For this treatment, freshly brewed coffee should be used rather than grounds. Prepare some strong coffee with little water and let it cool. Using fingers apply the mixture on your hair and scalp, and then wrap your hair with a towel or a plastic cap. After 20 minutes, wash it out with warm water. 8 Tbsp. dairy product. Choose whole milk, heavy cream, yogurt (must be unflavored! ), almond milk or coconut milk. Use less dairy if you like a thicker paste. Substitutions are allowed: Try an egg instead of dairy if you are an egg mask lover, or substitute oils, such as olive oil, extra virgin coconut oil or sweet almond oil if you have dehydrated skin. If using oils, halve the amount or it will be too runny. Stir in the honey. (I like to warm up the honey in a warm water bath or in the microwave so it mixes better).Apply the paste to your clean face and neck.Let the mask dry. Wet a washcloth and press it to your face to loosen the mask, then rinse with warm water. If you have sensitive skin, you should avoid rubbing your face because the coffee grounds could potentially scratch your skin. Try mixing used coffee grounds with your favorite conditioner and gently scrubbing your scalp for a few minutes. Not only will it feel great, but the caffeine can help stimulate new hair growth! Try this treatment once a week for best results.You can store the leftover paste in the refrigerator for several days. To do this, simply scrub the crumbly goodness all over your body for a natural exfoliant. Rubbing grounds into your skin will slough off dead skin cells and leave your skin feeling refreshed. For a smoother scrub, add a bit of olive oil to the grounds. Besides using coffee as a beauty cleanser here are some more tips for using ground coffee residue. This information is taken from several health websites. resemblance of most recent and earlier technologies, it's remarkable article.